Every women is in search of the one item that can stand the test of time. 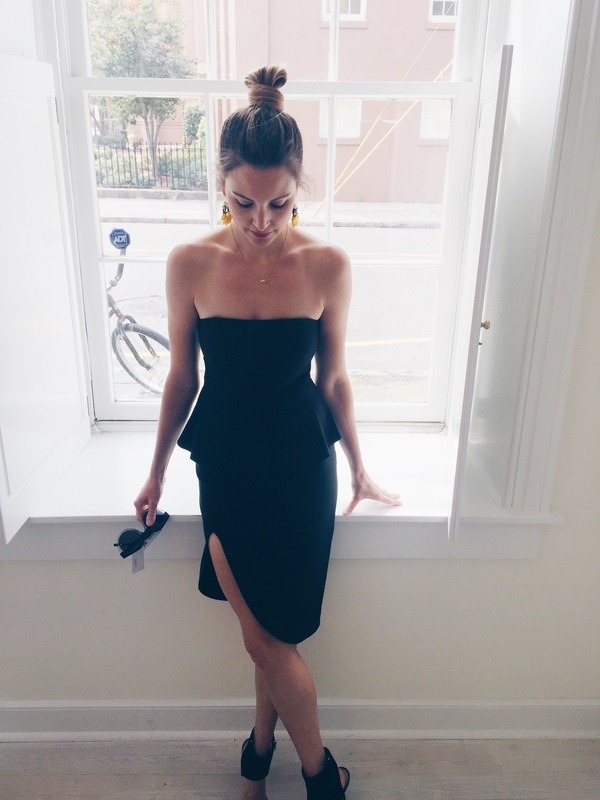 The little black dress is undeniably that timeless piece we all need. A show stopping LBD is a woman’s greatest wardrobe weapon. It is the “go to” choice when you have no clue what to wear, and it is always figure flattering (even if you splurged on your “cheat day”, haha). My favorite item in my wardrobe has been a little silk black dress I bought 8 years ago. Literally, if you scan my FB page, you will see this little number making a cameo on many occasions. As much as I love her, my husband (and my friends on social media) have not-so-subtly let me know that it is time to retire my almost 10 year old LBD. Lucky for me, I work at Beckett (wink, wink). 1) what shape looks best on my body? Knowing what shape looks best on your body can save time when sifting through the racks of countless black dresses (which can be super overwhelming). That being said, I always like to try on some “outside-the box” shapes to mix things up a bit. My rule of thumb: search for a LBD that will highlight your favorite parts and conceal the ones you are not so fond of. Don’t ever buy a dress that you think might look better if you “loose 5 pounds” or if you “work out really hard”. You want a dress that makes you feel as beautiful on the outside as you are on the inside! 2) what type of events do i go to the most? Your go to LBD needs to take you to a variety of places. Wedding invites rolling in all summer?, go for a cocktail dress. Corporate conferences on the agenda?, go for a day-to-evening dress. If date nights and local events are more your speed, go for edgier styles like cut-outs or body-con. 3) what is My style personality? Are you bohemian, preppy, conservative? You want your LBD to reflect your personal style. It’s ok to move out of your comfort zone sometimes, but with your staple LBD, you should go with something that you can wear over and over and always feel like yourself. Below are some of the latest and greatest LBD’s available at Beckett. From edgy to corporate conservative to ultra feminine, these stunning black looks elevate the LBD from basic to show stopping! Ready to start your LBD search? Beckett is getting in new styles weekly. Hope to see you soon?